Mr. Albert Majura holds Bachelor of Arts in Political Science and Public Administration, a Postgraduate Diploma in Social Work and Social Development, and Master of Arts in Project Planning and Management. He has vast experience in Managing, Coordinating and supervising Projects activities, both in office and field for sixteen years. Majura has been working with various projects such as Tanzania Health Intervention Program (TEHIP), Conditional Cash Transfer for HIV Prevention (CCT), Intermittent Preventive Treatment in infants (IPTI), Expanded Quality Improvement in maternal and Newborn Health, and School Nets Program (SNP). Currently, he works with the project called NCDs risk factor survey using mobile phone in Tanzania. 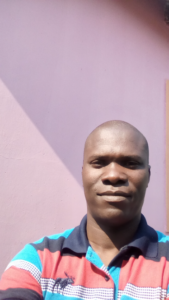 Apart from management of project activities, he has been preparing research tools and data collection and analysis in both Quantitative and Qualitative.